Well once again I rushed into this project headlong and didn't take "before" pictures. 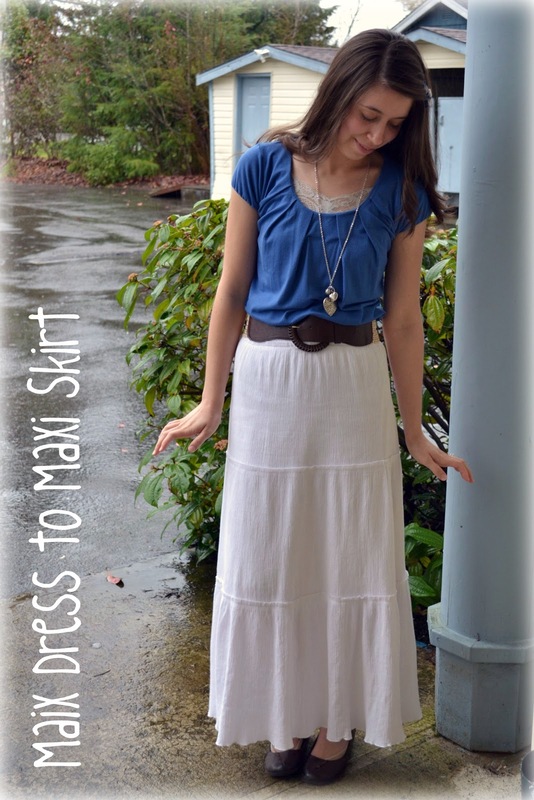 So you will just have to imagine how this dress looked before it became a maxi skirt! I have been wanting a maxi skirt for awhile, and I almost never wore this long dress. Perfect combination! So I cut the bodice off, folded it over, sewed it up, and then belted it. I love the result. 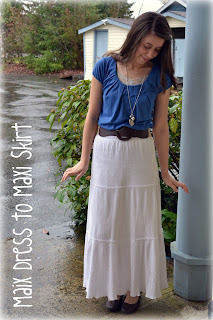 I may have to go make or buy another maxi skirt now! 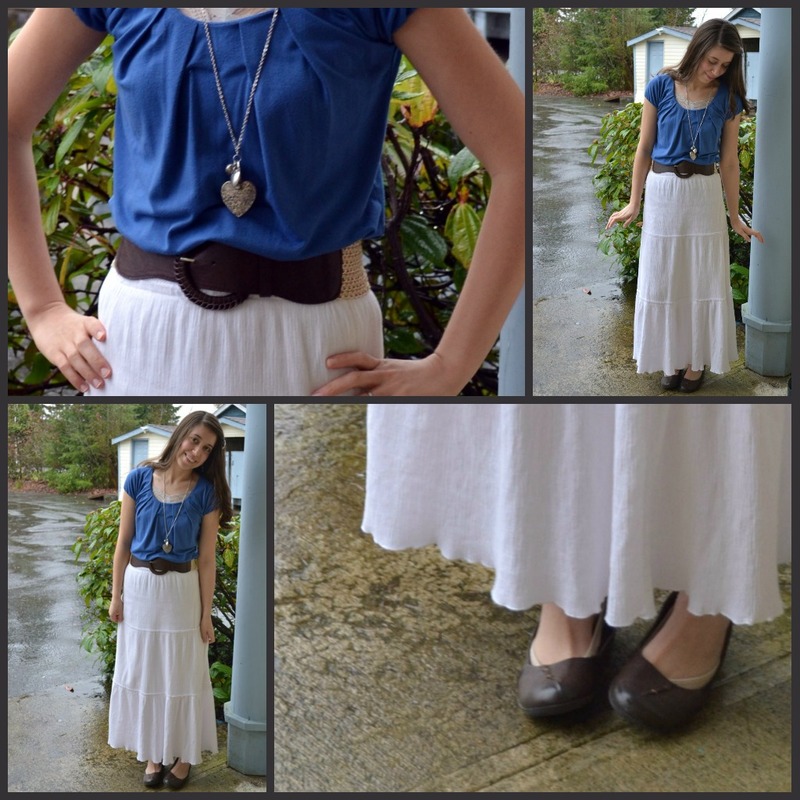 What have you been refashioning lately? Be blessed!